Each year selected London buildings (private residences, offices, churches, seats of government, libraries, museums etc.) of great historical and architectural value open their doors to public for one weekend. 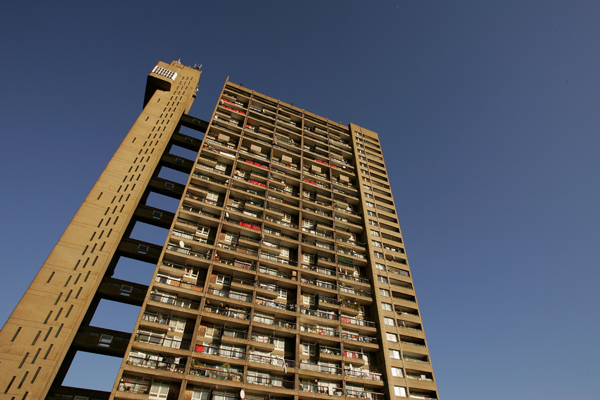 This year’s Open House falls on September 21/22 with a spectacular list that includes the Gherkin, Lloyds, Shard, Battersea Power Station, Erno Goldfinger’s house or the Trellick Tower. Designed by Jack Woolley and finalized this year, this ground- and lower ground spread private house will be open on Saturday only, between 10am and 1pm. A lower ground extension with an internal courtyard and large garden, this private residence was designed by Coffey Architects and you can see it on both days between 10am and 5pm. 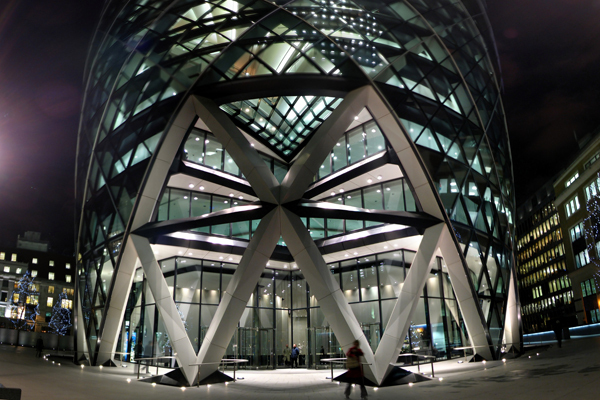 Foster Partners – designed iconic skyscraper which dominates the City skyline for already 10 years. 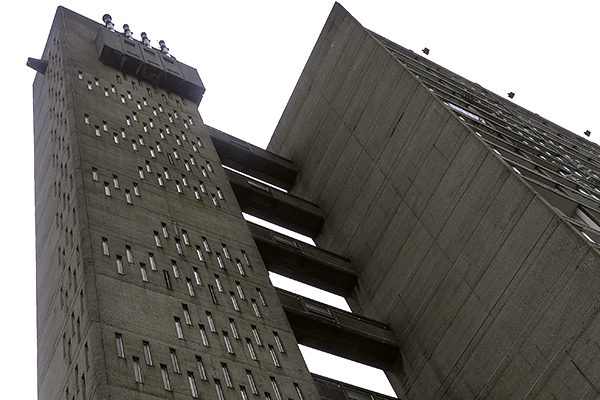 You can visit the lobby and the top floor on Sat 8am – 4pm and on Sun 9am – 4pm. Long waiting time granted but it’s a must–see! 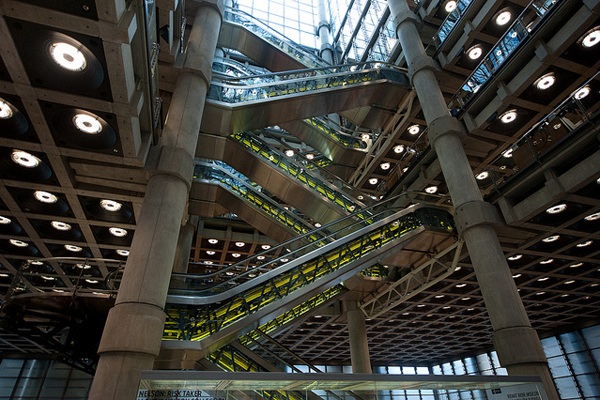 The City of London’s tallest occupied building built in ’81 and refurbished in ’95 opens its foyer space, as well as the 24h and 42nd floors from 10am –3pm on Saturday. 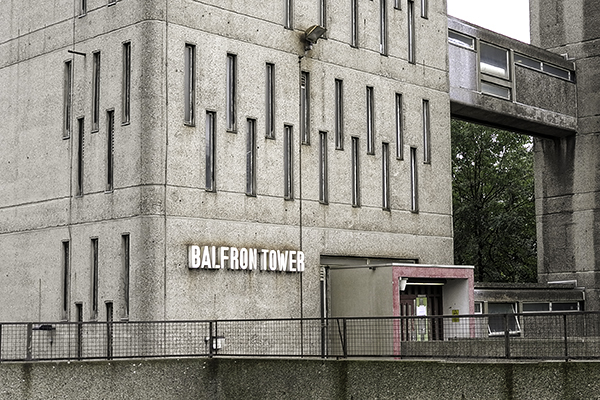 An example of a post-war brutalist maisonette, 4 Bayer House is part of The Golden Estate, designed by Chamberlin, Powell & Bon (also architects of the Barbican). Originally a social housing, now privately owned but retaining many of its original details and finishes, it will be open on Sun 11am –1pm and 2pm –5pm. 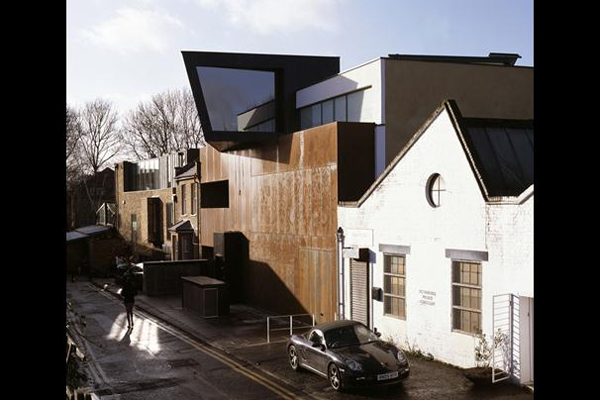 Recently finished futurist development of artist and photographic studios by Featherstone Young (btw, the same architects who designed our fantastic Shoreditch HQ). Can be viewed on Sun 1–5pm by appointment only. Elegant contemporary infill development of 4 dwellings on a tight site, one of them occupied by the architects themselves: David Mikhail and Annalie Riches. They will be giving hourly tours on Saturday from 1-5pm (pre–book your spot). 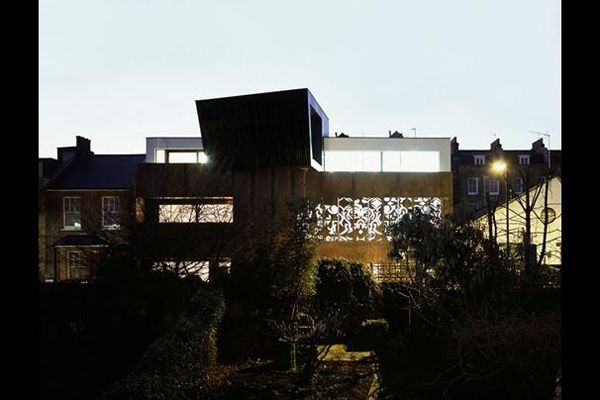 Contemporary refurbishment, by Scott Architects, of a Victorian terraced private house. Open both days from 10am–5pm, also on appointment only. Another lush Victorian house refurbishment with a contemporary extension, designed by Stephen Donald Architects. You can visit the ground floor and the garden on Sat 10am – 5pm. New–built private residence designed by Laura Dewe Mathews, with clever use of volumes and daylight, despite the physical constraints of a small urban plot. 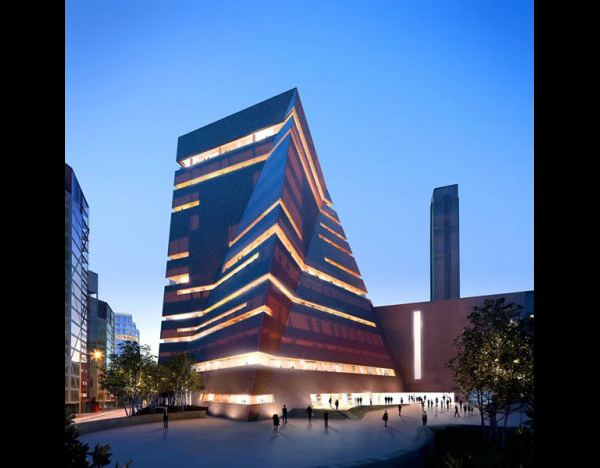 The architect will be giving 30mins-long tours on Sat 10am-5pm. RIBA award-winning home with timber-framed construction and extensive use of wood and other natural building materials. Designed by Marcus Lee and open for viewings on Sat 10am – 5pm. RIBA award-winning multi-purpose building in Shoreditch where you can visit its two multi-level residence and the outdoor space. Open Sun 10am – 5pm. Erno Goldfinger’s amazing Modernist home, largely in original condition and including his modern art collection with works by Marcel Duchamp, Max Ernst, Henry Moore and Bridget Riley. Open both days 11am – 5pm, entry via limited timed tickets only (available from house on day, first come basis). New–built private residence and studio designed by Mark Guard Architects as a floating box with integrated gardens on each level and mesh screens for privacy and sun control. RIBA award-winner 2012. Open on sat 1 – 5pm and Sun 10am – 1pm. Contemporary single storey private residence with classic proportions, modern design and innovative materials. RIBA Downland Sustainability Award Winner 2008. 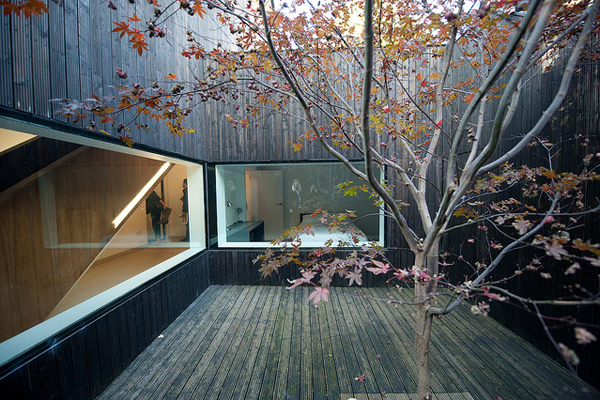 Designed by Clague design practice, the house will be open for visits on Sat 10am – 5pm. 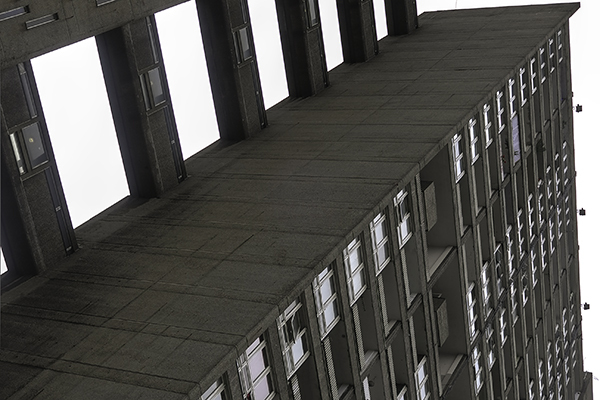 Erno Goldfinger’s brutalist masterpiece, 31storeys high Unite d’Habitation. 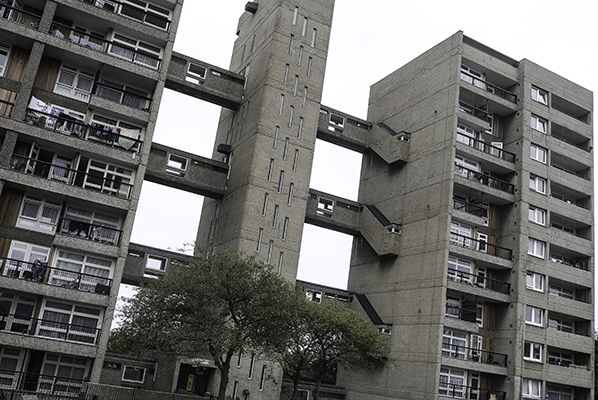 Originally built in 1972 as social housing, it is now one of London’s most desirable addresses. 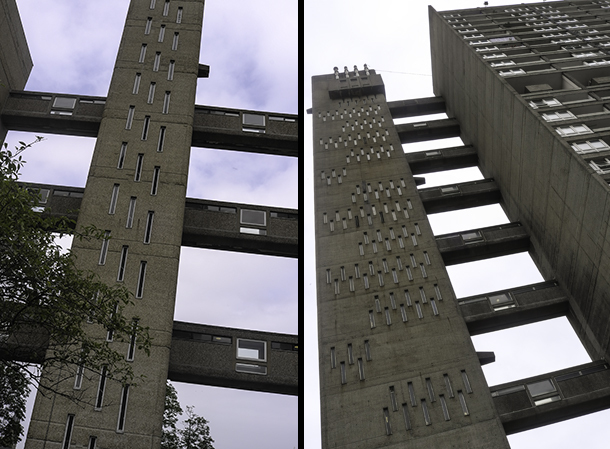 Open to public on Sunday 10am – 5pm with tours every half hour and opportunity to see the lobby and couple of flats. Yay! Good one to end the weekend with is this spectacular new build 2600 sq ft mews house by Hogarth Architects. It has a large basement living space, private night club dance floor, courtyard with a pond and waterfall and many hi-tech sustainable features (air source heat pump, photovoltaics, water recycling etc). Open on Sunday till 6pm. 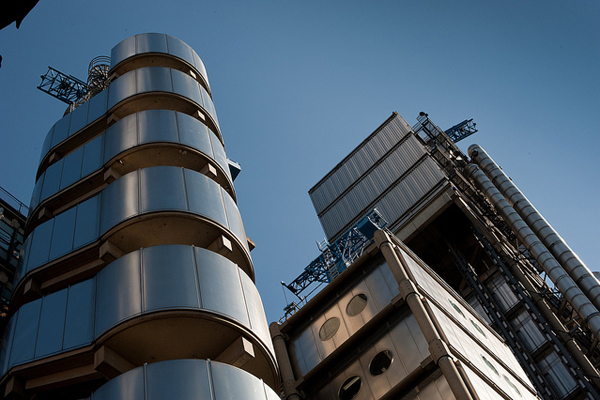 You also a chance to visit the Battersea Power Station – one of London’s most iconic buildings – before it undergoes a redevelopment (address + info), with architects, engineers and landscape architects present on site. Access to places like 10 Downing Street, the Shard or the London Eye runs on ballot systems. 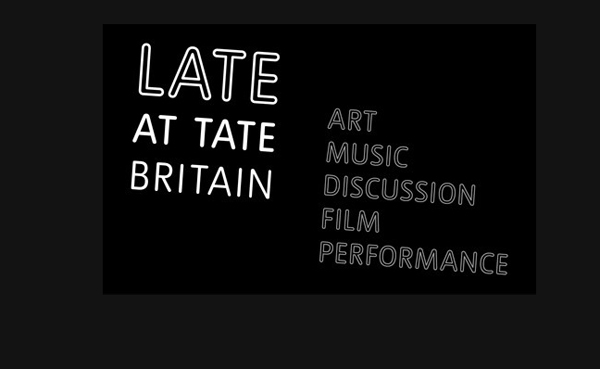 Last minute notice: tonight Tate Britain organizes Performing Architecture, series of talks, performances, workshops, film screenings etc. 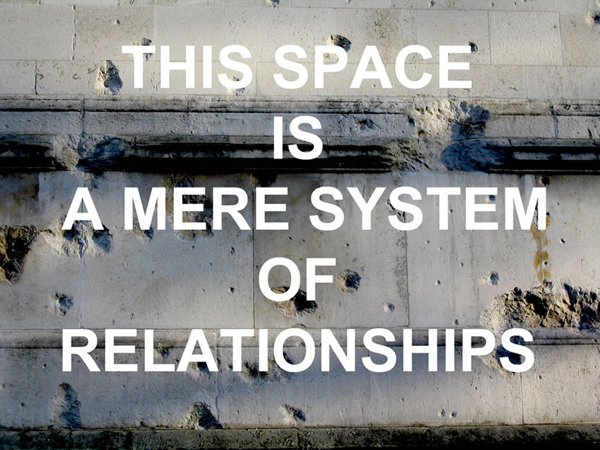 about how our physical bodies interact with built form. 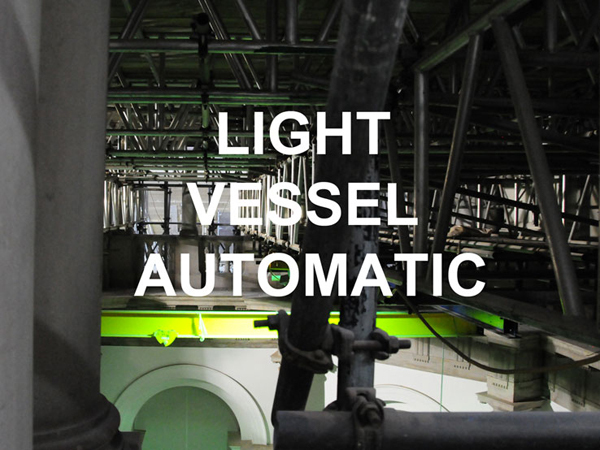 Highlights: an architect and a poet duo Kreider + O’Leary will guide you through the museum, revealing the buildings’ scars, layers and history in their Light Vessel Automatic tour. 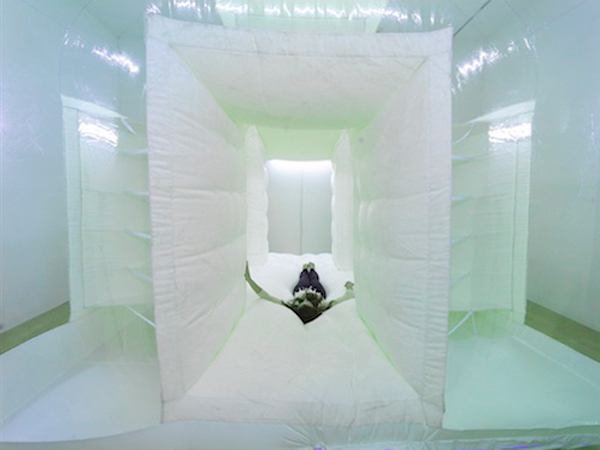 Performance architect Alex Schweder and editor of Le Journal Spéciale’Z Lamis Bayar will discuss about performance architecture as an emerging field and about their own practice within this field. They will also lead a performance/workshop in the museum’s Duveen Galleries, after which you should emerge back on the street as a practiced performance architect, ready to invent own instruction. You can start in your living room! 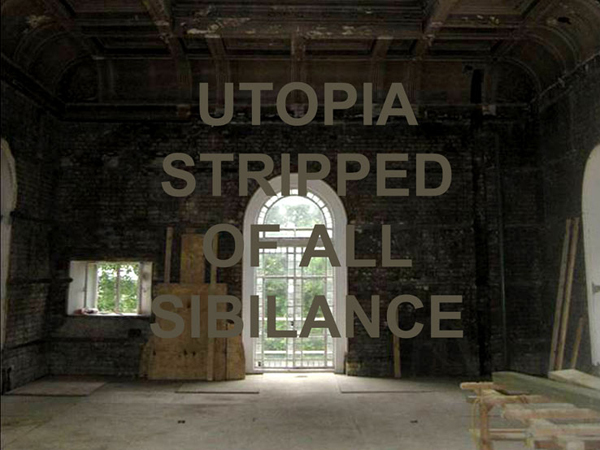 Performing architecture is a free event and forms part of Late at Tate Britain series. 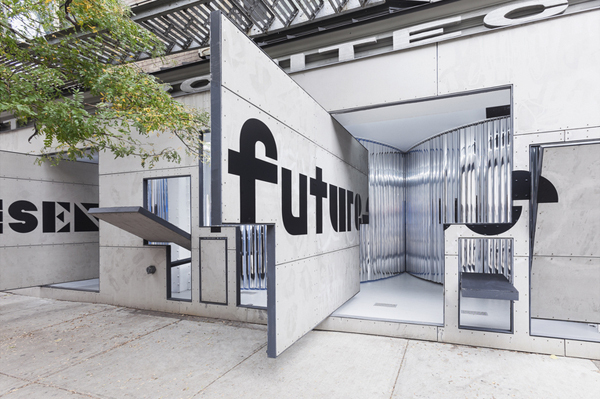 Tonight at 7pm opens of the second part of Past Futures, Present, Futures at Storefront for Art and Architecture, NYC. 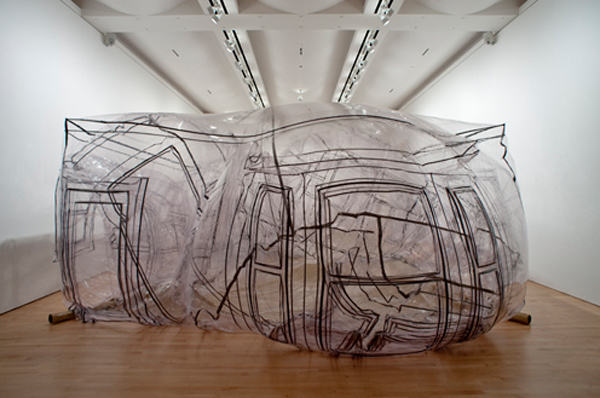 The exhibition deals with the theme of Utopian desires – the imagination of other, better, future. 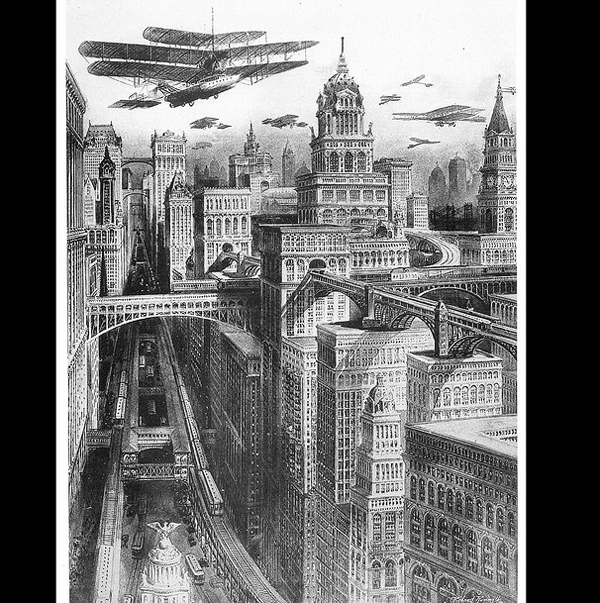 And since few cities occupy artists’ imagination like New York, all the presented projects have one thing in common – they were inspired by, and intended for, the island of Manhattan. 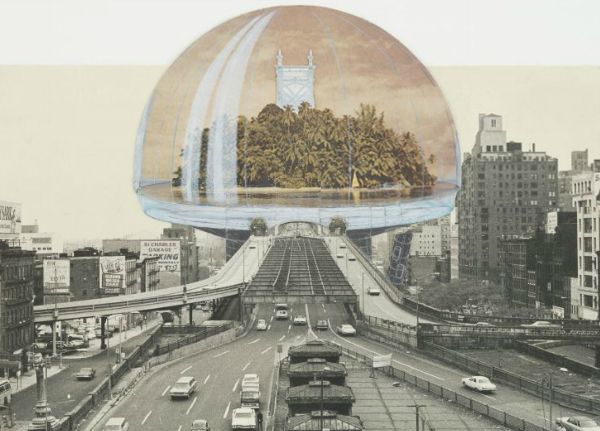 The first part of the show, Past Futures which opened on October 6th, presents 101 unrealized proposals, dating from the city’s formation to today and including number of truly visionary proposals, such as Buckminster Fuller’s Dome Over Manhattan, Hans Hollein’s Rolls Royce Grille on Wall Street, Haus Rucker Co.’s Palmtree Island or R. Rummel’s Future New York. 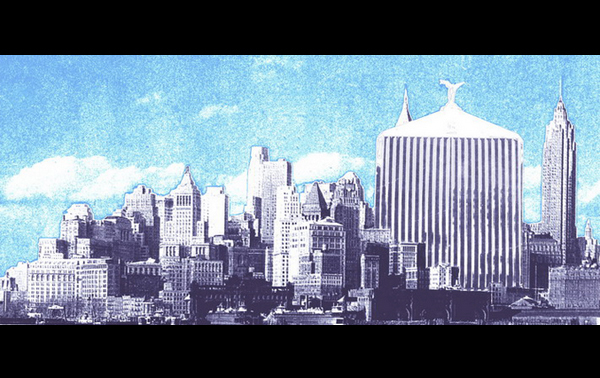 The second part which opens tonight shows 101 reenactments by invited artists, architects, writers and policy-makers (see the website for list of all participants) to create alternative visions for the present and future of the city. 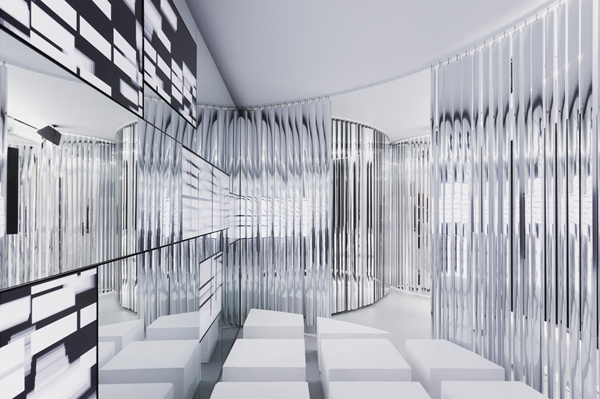 The exhibition was curated by Eva Franch and the striking exhibition design was done by Leong Leong. 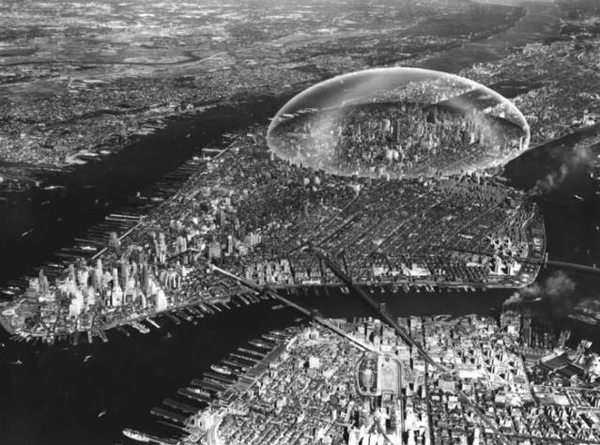 Dome over Manhattan via Gothamist, Palmtree Island via MoMA Collection, Rolls Royce Grill via Hans Hollein, Future New York via Evan Chakroff, and the exhibition design photos by Naho Kubota. 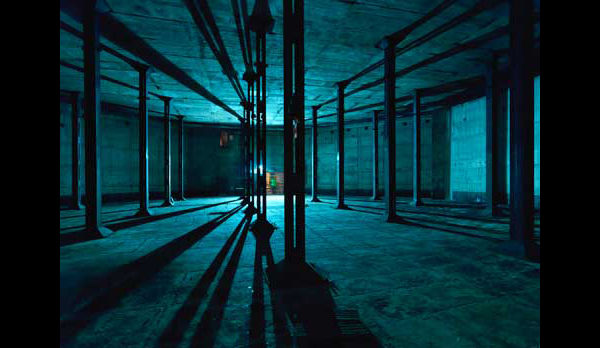 Next to the Serpentine Summer Pavilion, designed in cooperation with Ai Weiwei, another spectacular Herzog & de Meuron project opens in London this summer: the underground Oil Tanks @ Tate Modern. 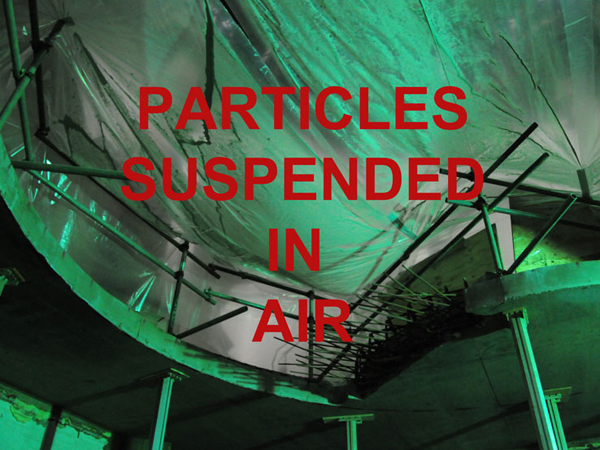 Originally massive industrial chambers containing oil that fuelled the power station and that have been decommissioned more than 30 years ago, are raw, industrial spaces over thirty metres across and seven metres high. 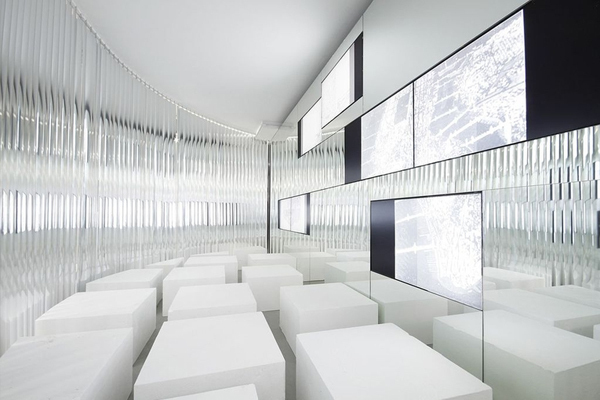 They will function as the world’s first museum galleries permanently dedicated to exhibiting live art, performance, installation and film works. 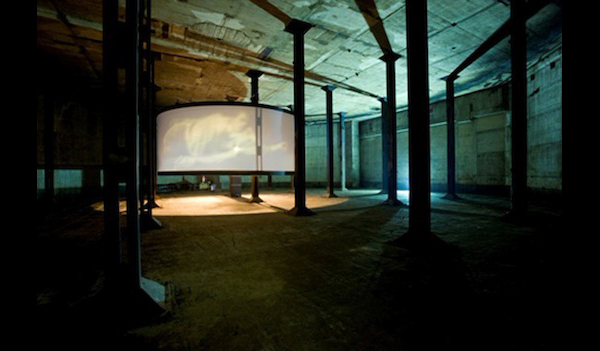 The opening of the Tanks, on July 18th, will mark the completion of the first phase of the Tate expansion project and will host fifteen-week festival celebrating performance and installation art and the historical works that have shaped it. 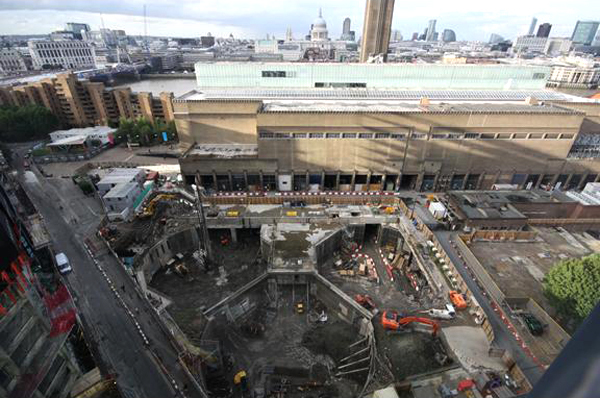 Second phase, which is planned to open in 2016, will complete the building and provide further floors of galleries. The estimated costs of the whole projects reach £215m. To give an idea of the original space, here are some photos of the original site before reconstruction. To view the program of the festival, visit the Tanks blog and for further information you can read Chris Dercon’s comment on the project and Rowan Moore’s review for The Guardian.